Voided Landscapes is the latest full length from American industrial underground stalwart Stephen Petrus who has been recording under this moniker for well over 20 years now, and whose output to date has broadly been categorized by the blurring of the lines between death industrial and dark ambient. Although not being quite sure as to exactly what number album this is, the project has issued in excess of 30 releases during the lengthy period of activity, so this album will certainly be somewhere into double figures. Musically speaking the abstract industrial rumble and moody minimalist piano of album opening Purity Burns bodes extremely well, while also featuring nature-based field recordings of calm waves lapping at a shoreline and a chorus of seagull cries, which differentiates it from much of the material which has previously been issued under the Murderous Vision banner. The following track Radiate is the categorized by a static buzzing and blast furnace churn and features the first vocals which are heavily processed and agonized in their delivery, and certainly blood boiling and fist pumping overall. Again in a slightly different style, the instrumental Shifting Ash is low key and moody, featuring subtle bass addled drones, random industrial debris and sporadic rhythmic loops which elevate in prominence through the late section. The most deviating track of the entire album is Stale Earth Slumber given its minimalist martial industrial frame of reference, being structure around stoic kit percussion, deep orchestral melody and main spoken vocal, although truth be told it slightly jars the flow of the album given how stylistically different it is. 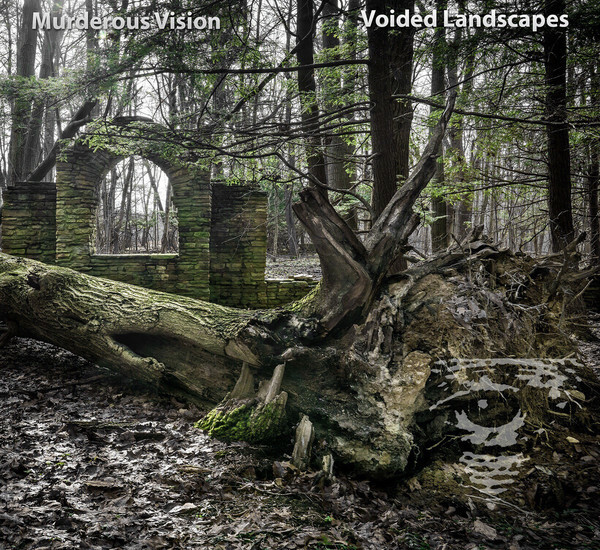 After the quite musically varied first third, the album opts to settle down to a solid display of Murderous Vision’s take on a ‘mid-point’ sound between seething dark ambient and ominous death industrial. The pairing of Concussion and Empty Language both illustrate this strongly, while as the title might suggest Moss and Bone features source material of a more organic sound palate. Voided functions as a heavily layered swirling vortex of mechanized textures, while the final album track Corrosive Materials chooses to go out with heavy impact given its use of a fast paced, massively pounding industrial structures. Nine tracks over 43 minutes displays a varied stylistic approach and composition, which is clearly rooted in the classic 1990’s era of dark ambient and death industrial, and this feeling is strongly on display, but also without being purposefully ‘retro’ in sonic expression. A 6 panel fold out digi-sleeve on matt card stock and with suitable imagery of urban decay rounds out the presentation of a very enjoyable, sonically varied underground post-industrial release. This three track EP is the first new material issued in a couple of years from Stephen Petrus’s long-standing project which charts a midpoint between abrasive dark ambience and subdued death industrial. Evidently this release was issued in part to fund travels to the CMI 30th Anniversary Festival in Stockholm, and to coincide with some live shows in Finland around the same time. The opening track Protocols of Removal is the longest track at 13 minutes, featuring an undercurrent of a yawning and grinding dark ambience, while a low-key sparse ‘beat’ and swelling synth pads, and a semi-buried dialogue sampled provides further tonal variation. Through the middle and late sections of the track it pushes towards a heavier and heaving inwardly spiraling vortex, including ritual styled chimes, metallic textures and wonky ‘kraut’ synth lines added for good measure. No Ascension follows and is a more dour and cavernous death industrial affair of murky layered tonality, crumbling muted distortion, sparse ritual gongs and garbled indecipherable voices (both spoken and chanted). The title track rounds out the EP with a short four minute track of a structure straight forward death industrial offering of a plodding militant tinged rhythmic framework, sparse synth lines and distortion spat vocals. All in all What We’re Able To Recover is another solid, albeit quite short release from the ever dependable Murderous Vision, while packaging wise, the clean and simple design thankfully avoids all of the worst aspects of a slapdash presentation which often befalls the Cdr format. Here we have a triple album which functions to archive various limited and out of print recordings from the group. 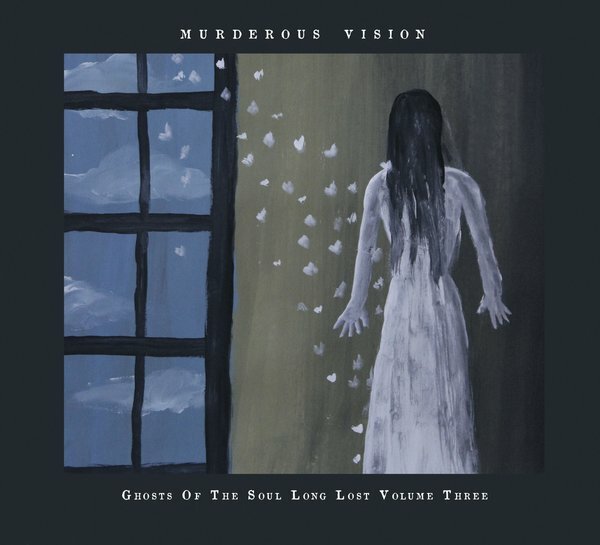 Being the third in the archive series, it also marks a celebration of the 20th anniversary of Murderous Vision and contains recordings from number of different eras of the project. In reissuing an album from 2000, ‘Suffocate…The Final Breath’ takes up the first disc, where its title is very fitting for the overall atmosphere and mood. Here the material forms stalking yet subdued soundscapes which drift between dark ambience and death industrial. As such slow thumping beats, tribal-esque rhythms and churning factory sounds are offset against the disorienting ebb and flow of a sweeping undercurrent. Other album pieces occupy a freeform style with a general tonal abstractness, where an electronic fog evokes a trancelike ambience. Whilst this album certainly has it excellent moments, some tracks are slightly ambling and directionless at times and with a length of 74 minutes, dropping a few of the less engaging pieces might have made this a far more focused album. Also one notable aspect of the sound is its general sonic ‘crispness’, which is slightly more clinical in tone than European counterparts of the equivalent time. ‘Salvation on Sand Mountain’ takes up the second disc and jumps forward a decade in the creative arc of the project. Originally forming a cassette album from 2010 released on Danvers State Recordings, the stylistic shift is clearly evident given this album straddles a death industrial to power electronics sound. The release also functions to showcase seven guest vocalists, with project lead Stephen Petrus featuring on a further two tracks. 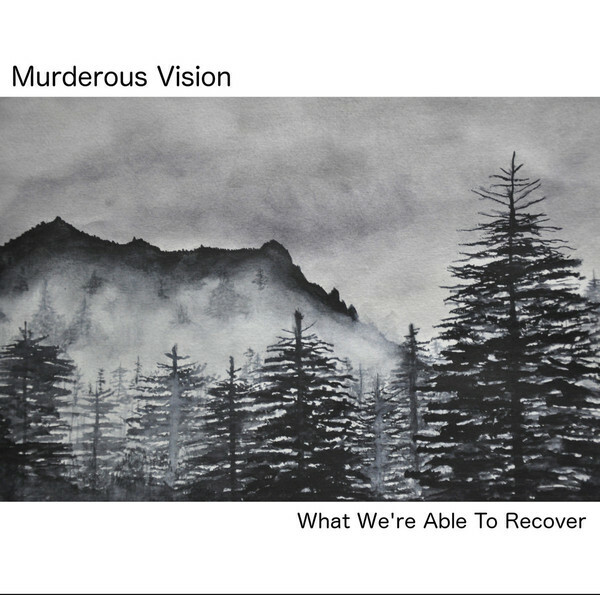 Fierce and focused in tone, the second disc mirrors all the best elements of the current American death industrial/ power electronics scene with caustic, focused and slightly rhythmic driving tracks. Likewise the divergent approach that each of vocalists take provides a clear degree of variation between each composition, demonstrating that individuality is still a clear possibility in the ‘yelled distortion drenched vocal’ style. Of the vocal led tracks ‘Lies of the Beast?’ differs given it is more subdued in tone and includes female spoken vocals. 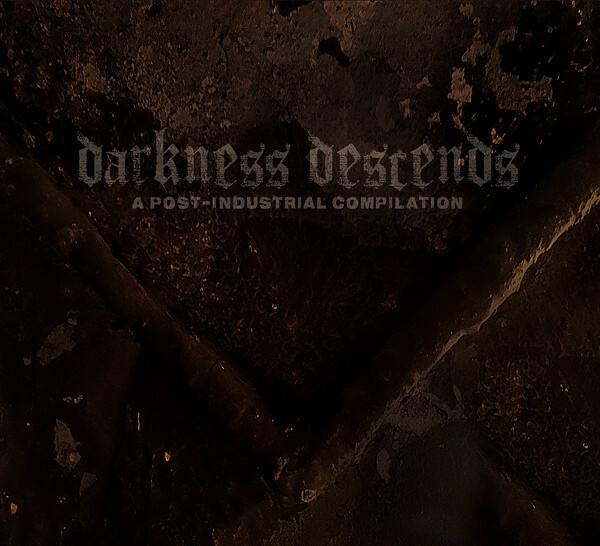 With the bulk of the album constituting a rather punishing collection of tracks, the concluding piece is rounded out with a longer form, pounding and distortion fried industrial offering. Accordingly the instrumental framework serves as a base for religious based sermon samples relating to the track’s title and its thematic focus (i.e. a fringe Alabama religious sect which involves the handling of deadly snakes as a demonstration of faith). For the third and final disc it compiles two prior separate releases, including a four track live studio recording ‘Echosphore’ from 2010, in addition to three tracks originally issued in 2011 on the ‘Corpse Abuse’ split with Skin Graft. Up first is the ‘Echosphore’ material which interestingly achieves a kind of mid-point between the first two discs. Here the material is more soundscape oriented and less ‘song’ focused than the second disc, but far more direct, rough and loud than the first disc. As such the sound sprawls as a swirling distorted mass, punctuated with looped rhythmic elements, scattered improvised noise squalls and quasi-chanted / moaned vocal textures. The tone also has a sharp, harsh and overblown aesthetic with hints at the live studio creation. Alternatively the ‘Corpse Abuse’ tracks function as much shorter and more focused compositions. By providing slightly more breathing space and rhythmic undercurrent, these tracks are more controlled in a throbbing/ oscillating death industrial style, complete with suitable thematic dialogue samples and aggressive vocalisations. As a complete package this is a strong document of the varied approach of the project, which as displayed here extends from sprawling, occasionally ritualised dark ambient/ industrial soundscapes, and on to focused aggressive and focused death industrial to power electronics compositions. As an archive this is also a testament to the long-standing and ongoing dedication of Stephen Petrus to the post-industrial underground.